The Red Devils were sent home by France in the first semi-finals of the FIFA World Cup 2018 on Tuesday. This is the third time France is in the Finale, earlier being a part in 1998 and 2006. 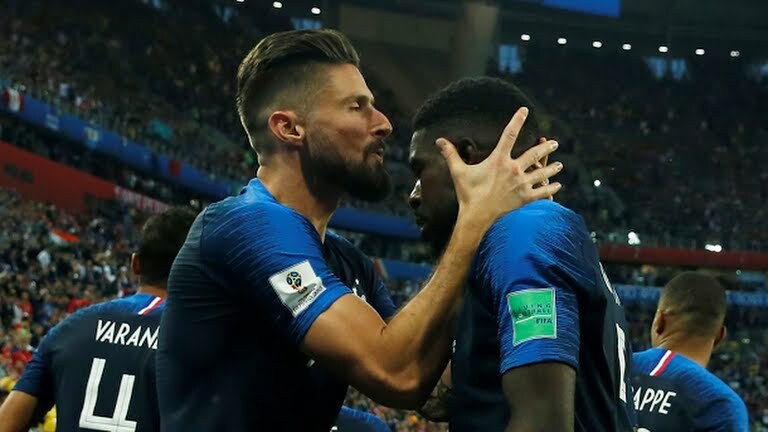 France had the upper hand in the 74th appearance between the two nations despite Belgium playing some sublime football. Brave Belgium who had a great run in the tournament will be heading home as heroes, this was the 2nd time in their history of football when they were in the Semi-Finals. Belgium had won a majority of 30 matches to France’s 24 in their last meetings but this time France took the win. 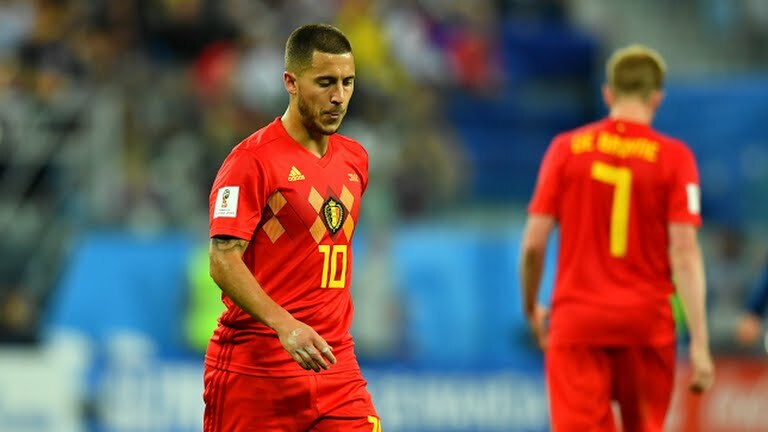 Right from the Kick-Off both the sides were making efforts to capitalize and find a way to score, Belgium had more of possession and chances to take the lead but spectacular saves by French goalkeeper Lloris denied Hazard, and De Bryune. It was not a Lukaku show as he appeared very less with the ball and was not able to convert the chances he had. France on the other side was happy to hold back and create counter-attacks when possible. At half-time both the teams went to the dressing room goalless. In the beginning of the final half, the French were dominant and this resulted in the opening goal of the match. 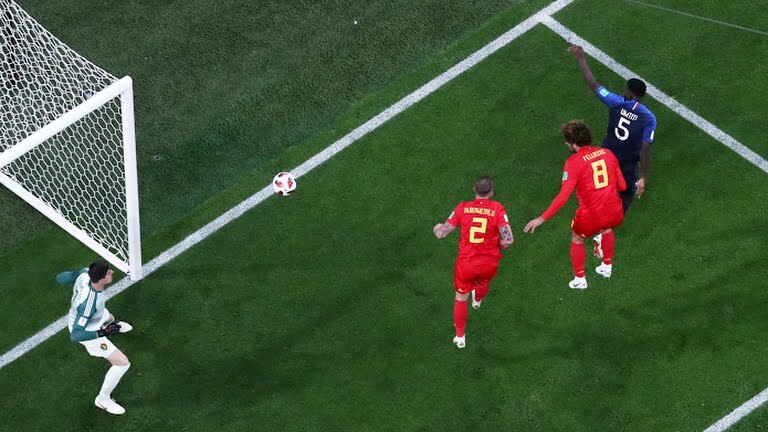 At 51’ Griezman who has been involved in last 20 goals of France took the corner kick, a curler to the near end found Umtiti’s header and he placed the ball past the Belgium goalkeeper. The men in blue had the advantage. This was the first time since 1994; the red devils had conceded a corner kick goal in the World Cup. Belgium had 64% of the possession and a substitution of Dries Mertens paced up the attacks form the right flank. There were perfect crosses one after another but Belgium was struggling to find the back of the net. France played some mesmerizing football in the final quarter and forward Mbappe was a threat throughout the game. The clock was ticking by and Belgium was still to find an equalizer, at 90+2’ Mbappe was handed a yellow card for wasting time, there was no way he was going to get away from the booking. The final whistle was blown and dreams were shattered for Belgium and former striker Theary Henry who was present to witness the match. Twenty years ago in 1998 France had won the World Cup against Brazil in Paris under the captaincy of Deschamps. But this time he will be going in the World Cup Final as a Manager. Raphael Varane the Real Madrid defender who put on a dominating show was given player of the match. France will face either England or Croatia in the Finals on Sunday at Luzhiniki Stadium in Moscow.